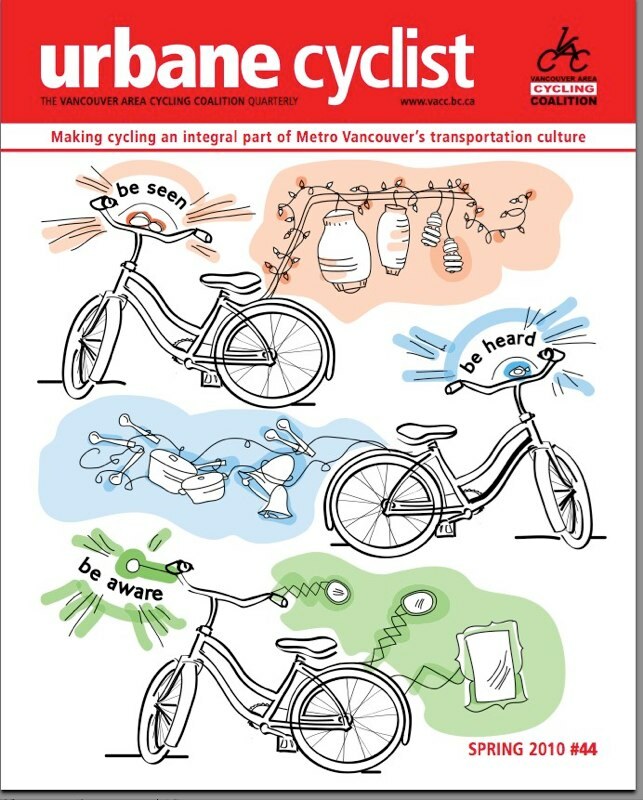 The Urbane Cyclist is the newsletter for the Vancouver Area Cycling Coalition, a group in Vancouver that does the nitty gritty work for cycling safety and advocacy. Committee work, input into new routes, speaking out about safety… and they even go on bike rides to test out new bike routes, checking for unmarked intersections and bad signage. The VACC puts on cycling safety courses and has fun programs for kids, too. They relaunched their image in March 2010 with a redesigned newsletter, and I was happy to use safety images in my cover illustration.